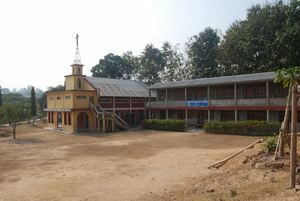 Redeemer English School is located in Diphu, Assam, India. It is a large city with over 61,000 inhabitants. The town is home to many indigenous communities. The Karbis, Dimasa, Bodo, and Garo are the largest tribes. Redeemer English School enrolls students in Pre-k through 7th grade. There are over 250 students currently attending Redeemer English School. Ginger and rubber are widely grown by the locals and small scale industries like mining and manufacturing.